Christine grew up and has lived most of her life in Cleveland Heights. She was a director and stage actor at Dobama Theatre for many years, and is the theater critic for Scene Magazine. She was named Best Critic in Ohio by the Cleveland Press Club and the Society of Professional Journalists. Christine is a playwright and her one-woman play, Exact Change, is a poetry-rich narrative which received its world premiere at Cleveland Public Theater in 2014 and which she performed last year at Playhouse Square, the New York Fringe Festival, in Provincetown and other places in the Northeast Ohio region. 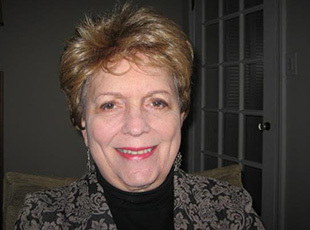 In addition to her performance resume, Christine’s poetry has been widely published by Pudding House and Kattywompus Press and in numerous anthologies. She has written articles for The Daily Beast, Northern Ohio Live, The Plain Dealer and other publications. Christine identifies herself as a performance poet. Not a ‘slam’ poet, although she has performed successfully in that genre, but one who actively pursues the drama and uses dramatic devices in reading her work. As an actor, she is very interested in how speaking poetry “creates a new way to access the words and helps people think in a different way.” In fact, her project as poet laureate will be to offer workshops to help people learn and practice speaking their work. She will welcome writers of all levels of accomplishment and is particularly interested in creating intergenerational workshops where youth and older citizens can learn and share together. As she begins her term of office this April (National Poetry Month), Christine will be directing two one act plays she imported from the New York Fringe Festival, at Blank Canvas Theater, in the 78th Street Studios building on Cleveland’s west side. She will be formally introduced to the Cleveland Heights community at the City Council meeting, 7:00 PM April 18. Kathleen Cerveny was the 2013-14 Cleveland Heights poet laureate. She is recently retired from the Cleveland Foundation where she was the Director of Arts Initiatives for 25 years. She lives in the “Royal Heights” neighborhood of Cleveland Heights.